Heart disease is very common in both men and women. So what are some simple things that you can do to “love” your heart? Look after your teeth. This might sound strange but the reality is that poor dental care is associated with an increased risk of heart disease. Stay active. 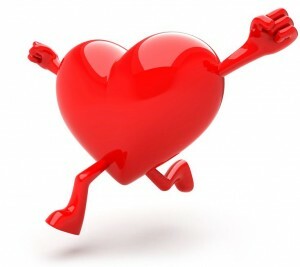 A healthy exercise plan can go a long ways to reducing heart disease. Don’t smoke and if you do, make quitting your top priority. Increase your intake of fruits and veggies. This reduces your risk of a myriad of diseases. Eat raw nuts (in moderation). The healthy fats in nuts helps to lower your risk of heart disease. Avoid nuts that are heavily coated in oil and salt. Take a high quality nutritional supplement such as Cellsenstials. Magnesium, Vitamin C, folic acid, Vitamins B6 and B12 have all been shown to reduce heart disease. Consider taking a Resveratrol and/or grape seed extract supplement. Resveratrol is found in the Healthpak and grape seed extract is the main component of Proflavonol. Both of these are key ingredients found in red wine and shown to improve heart health. Take a fish oil supplement such as Bio-Omega. Omega-3’s are essential for healthy heart function. Make sure to choose a source that is purified and guaranteed to be free of heavy metal contaminants. Take your Cellsentials every day. Consider switching to the Healthpak and/or adding Proflavonol if you are at risk for heart disease. Be proactive about staying active. Eat plenty of vegetables and small amounts of raw nuts. Make sure you have a high fiber diet and consider adding Fibergy to your diet.